Just 20 miles from downtown but reminiscent of the east cost boardwalks, this little gem harbors amusement park rides, gulf fare, live jams, and unique gift shops. Escape the city or take a break from the beach and explore all this boardwalk has to offer. The amusement park rides appeal to a wide range of ages with the train chugging though the park and the wooden coaster catapulting you through the air. Visitors can either buy a day pass for all day access to the Kemah Park rides or opt for a la carte tickets for those who want a quick thrill. Once your stomach settles from the Kemah Boardwalk rides, enjoy a meal at one of the many eateries. Most cater to the seafood lovers but the menus have some land lover options as well. The restaurants are owned by Landry’s, so expect their standard quality fare and the same price ranges. Families can also bring in their meals to enjoy along the boardwalk if a sit-down restaurant doesn’t really fit the bill. There are plenty of shops to browse through. Find the perfect holiday decoration at the Kemah Christmas Shop or try out the latest in kids toys at the Toy Crossing. Of course, no boardwalk would be complete without a t-shirt store. Pick out your favorite tee at Boardwalk Shirts to commemorate your time at Kemah. Perhaps the best part of Kemah is variety of events the Boardwalk hosts all year around. The fall is great time to visit because the heat has subsided and it’s comfortable to spend time listening to the live music on the weekends. The Boardwalk also hosts a 10k in September for those looking for an active way to enjoy their time in Kemah. The holiday season welcomes lighted boat parade and toy drive. Rock the Dock, the summer music festival, is a lively and energetic way to enjoy the long summer nights. 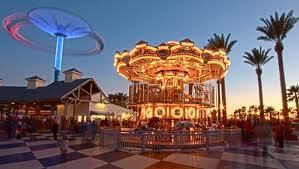 No matter the weather or time of year, Kemah Boardwalk can entertain. Kemah Boardwalk Restaurant Hours: Hours vary by restaurant and season. 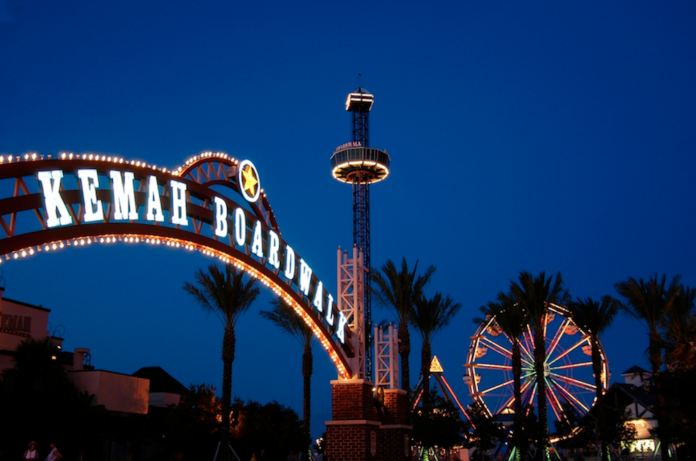 Click here to view specific Kemah Boardwalk restaurants and their current operating hours. Kemah Boardwalk Shopping Hours: Click here to view specific Kemah Boardwalk stores and contact information. Parking: Click here for seasonal Kemah Boardwalk parking instructions.